The purple dots on the back of the world's most decorated Olympic swimmer have caused a bit of a stir. Michael Phelps and many of his teammates in Rio de Janeiro have endorsed a form of Chinese medicine that dates back thousands of years. They haven't shot commercials for the medicine, but those circular bruises on their bodies are enough of an endorsement. Cupping has been all the rage at the Summer Games in Rio. The technique, which involves placing suction cups on the skin, has been credited with helping athletes recover faster and prevent injuries. "It really stands up to the test of time," said Kevin Berger, acupuncturist at Thrive Acupuncture Center in Boyertown. "No one would continue to use this over hundreds of years if it wasn't effective, if patients weren't seeing benefits. It works." Area acupuncturists say they have enjoyed cupping's Olympic spotlight. It's another step in acknowledging the role Chinese medicine can play in care, they say. "It's not a revolution," said Owen McPeake, owner of Oley Hills Acupuncture in Rockland Township. "It's another milestone." But while acupuncturists celebrate the trend, cupping has its critics, and they point to the lack of research showing it works. Nearly all the proof is anecdotal. "Cupping is ridiculous," wrote Steven Salzberg, a distinguished professor at Johns Hopkins University, in an article for Forbes.com this week. "There's no scientific or medical evidence that it provides any benefit." The treatment lasts anywhere from a few minutes to about 45 minutes, area acupuncturists say. Practitioners use heat or an air pump to create a vacuum inside a cup. That vacuum pulls the skin away from the muscle. The circular bruises happen after the capillaries beneath the skin break. The body responds to the treatment by sending blood to the injured or overworked area. Advocates say it reduces soreness and promotes healing. That's why Phelps and other swimmers use it to recover after taking their bodies to the limit. It's very popular for back and shoulder pain in particular. "They are looking for alternatives because of age," said Timothy McGarvey, an acupuncturist with The Spine and Wellness Center in Exeter. "They are in a perennial cycle of pain. They don't want to be on pain pills or have surgery." Some in the medical community have doubts about cupping. For one, there have been few studies looking at whether it works. It's also hard to separate any perceived benefits from the so-called placebo effect. 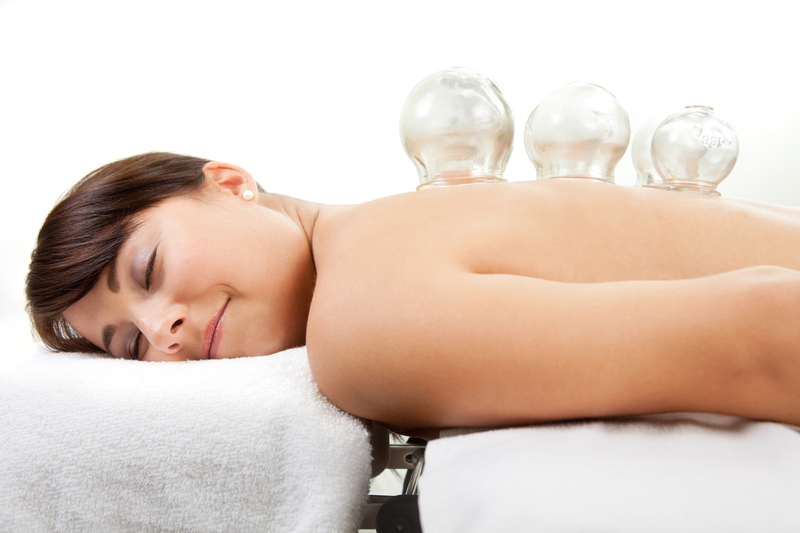 Patients know they are receiving cupping, and that may influence how they feel. "I'm not sure who told Michael Phelps that cupping would help him swim faster, but I am sure that it's terrible advice - definitely not helpful and maybe harmful," Salzberg wrote in his searing essay. McPeake said the scrutiny is normal for acupuncture and skepticism is healthy. He said proponents of Chinese medicine have always had critics in the Western world. "I consider myself to possess a healthy skepticism as well," McPeake said. "I think there's definitely a place for that. It's nice to see examples of the dialogue. "We're seeing both sides being discussed rather than just discounting this completely." The area acupuncturists said they believe they can play a role in health care. They say Chinese medicine has been around for so long because it works. "I think it's another example of the integration of the principles of Chinese medicine into the mainstream," McPeake said. "People are gradually getting more and more comfortable." Berger said it was an exciting time to work in his field because people are listening more than ever. "I'm a huge of proponent of integration and integrative medicine," he said. "Wherever you fall on the spectrum of health care, whether you're a medical doctor, a physical therapist, a chiropractor, we all play different roles. It's going to benefit everybody the more integrative things are." McGarvey said all practitioners need to recognize their limits. Cupping will not help everyone. Some patients may need surgery or drugs during care. Some may benefit from a trip to the acupuncturist. "It's about knowing your limits and when to refer out so people can get to the bottom of what's ailing them," he said.